After TV5 MONDE pulls the plug on traditional TV distribution in the UK, where else can viewers go to enjoy French-language TV? 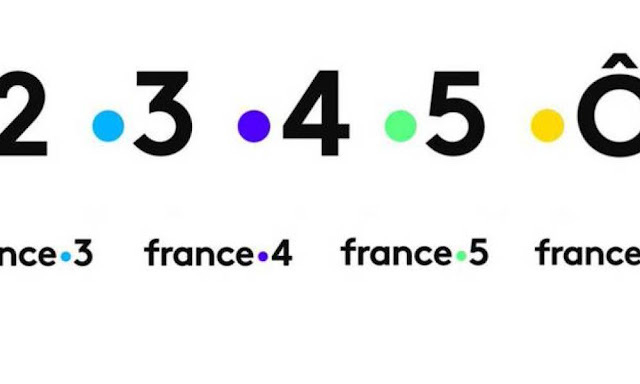 TV5 MONDE is one of the oldest international satellite broadcasters and was widely distributed on analogue cable systems in the UK before joining the Sky digital satellite platform in 2002. Since then, the availability of domestic French television channels in the UK has improved, although not available on all platforms. TV5 MONDE has indicated it will be leaving Virgin in January 2019, but Virgin Media UK users continue to have access to the French language version of France 24 on channel 832. Available on Roku, Samsung Smart TVs, Android and iOS, the internet service operated by Vision TV now offers France 2, 3 and 5 as well as the French language version of news channel France 24. £6.99 a month. This is a popular service that provides access to the main national terrestrial TV channels of France, plus additional free-to-air channels such as CNEWS and TV5 MONDE. You will need a satellite dish that can receive services from the Astra 1 satellite cluster at 19.2°E - i.e. a European satellite system. A Sky zone 2 dish (60 cm) can be used to receive Astra 1 comfortably in many parts of the UK. Additionally, a TNTSAT receiver and card will be required. These can be purchased in France, or in the UK via specialist satellite retailers. Or Amazon/Ebay. For broadcast rights reasons, the main French channels are encrypted via satellite, although they are technically 'free-to-view' if you have the right equipment. Satellite receivers that don't support TNTSAT won't be able to decrypt the TNTSAT signal. TNTSAT cards are valid for four years. As these are services that are broadcast direct from France for French viewers, there's no complications caused by Brexit - you would be receiving an overspill signal that sidesteps UK regulation. This is a rival service to TNT SAT, that also aims to provide French viewers with access to all of the main French national channels. Broadcast from the Eutelsat 5W satellite, a Fransat compatible receiver and card is required, as channels are encrypted, although once again, all main channels are offered on a free-to-view basis once you have the right equipment. A number of retailers online provide access to the neccessary Fransat box and card. Specialists indicate that a larger sized dish is recommended - speak to a local satellite specialist for advice on reception in your area. Note that the satellite from which Fransat is broadcast is pending replacement, with coverage across northern Britain expected to be more restricted thanks to the usage of a French spotbeam. Under current EU portability rules, residents of France may access pay TV services online in the UK, although restrictions can be applied if a user tries to access content for a long period of time, as the rules are intended to cover people on holiday or on business travel. Otherwise, some programmes are available live and on-demand outside of France via individual broadcaster websites. News channel BFM for example, can be live streamed via its website. For other types of live streams, there is a whole range of options online and via mobile app stores - although generally not endorsed by broadcasters and not official. If you just want TV5 MONDE again, but don't want to stream it, you can still watch the channel via satellite. The current UK and Ireland feed is expected to be terminated shortly, which means it soon won't be possible to watch the channel using standard Sky or Freesat equipment, even if you can manually tune your box. Last updated 04/01/2019. Since this article was first published, Virgin Media has announced that the WorldBox service that offered access to French channels including France 2 and 3 is being withdrawn form the platform. This article has been edited to remove this option as an alternative to Virgin Media UK viewers.